The pre-sale show was judged by Ian Willison of Williamwood Farm, Warsop Vale, Mansfield, Nottinghamshire NG20 8XR. Topping the trade on the day at 3800gns was the Female Champion & Reserve Overall Champion Heathbrow Indigo, bred by D A & L A Sapsed, High Heath Farm, Codicote, Hitchin, Hertfordshire SG4 8SZ. A Heathbrow Grandslam 15 daughter out of a Kilbride Farm Newry daughter, she was purchased by Mr & Mrs J Mee, Broadoak Farm, Red Lane, Brinsley, Nottinghamshire NG16 5BW. 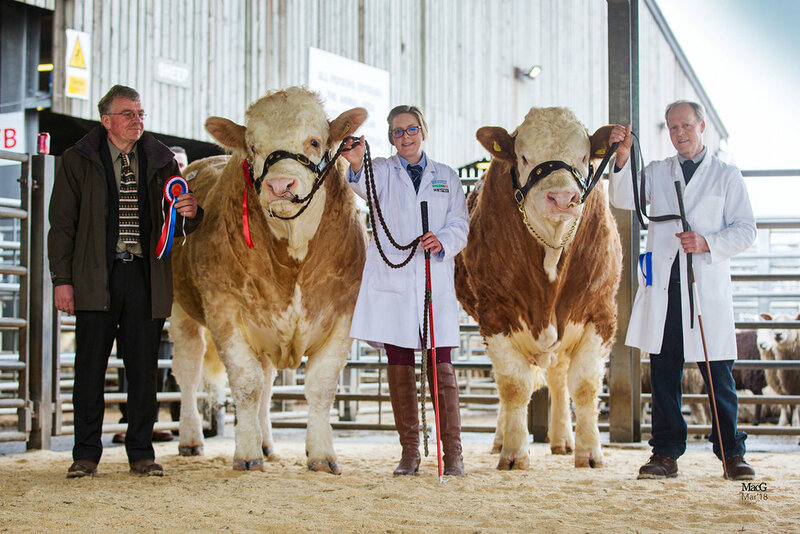 Second top price at 3400gns was Hemingford Horatio 16, bred by Mr J A Griffin & Mrs S Arkley, 54 Common Lane, Hemingford Abbots, Huntingdon, Cambridgeshire, PE28 9AW. This Corskie Dreamer 12 son out of a Starline Klassik daughter was purchased by Peter & David Harris (M J Harris Farming), Hillcrest Farm, Clayhill Lane, Long Lawford, Rugby CV32 9BG. Next at 3300gns was the Reserve Male Champion Grangewood Heston 16, bred by Mr & Mrs AS & YA Leedham, Rowan Farm, Lockton, Pickering, North Yorkshire, YO18 7NU. A Grangewood Damascus 12 son out of a Camus Brandy daughter, he was purchased by James Knight Farms, Manor Farm, Walcot,Falkingham, Sleaford, Lincs NG34 0SU. 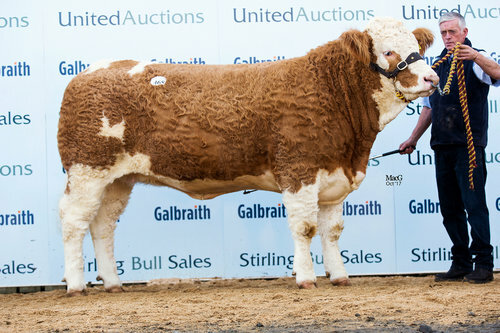 Selling for 3200gns was Sterling Harry 16, bred by Boddington Estates Ltd, exhibited by Mr J McMillan, 1 Sacombe Green Road, Sacombe, Ware SG12 0JN. An Annick Exocet 13 son out of a Sterling Cotswold 11 daughter, he was sold to Mr & Mrs P Lovatt, 23 Woodhouse Lane, Biddulph, Stoke-on- Trent, Staffs ST8 7DP. Selling at 2900gns was Blue Cedar Huckley 16, bred by Nigel Darling, Long Meadow Barn, Intwood Farm, Intwood Road, Intwood, Norwich NR4 6TQ. A Wroxall Abacus 09 son out of a Lopemede Walter daughter, he was sold to Simons Bros, The Farm, North End, Goxhill, Lincs DN19 7JT. 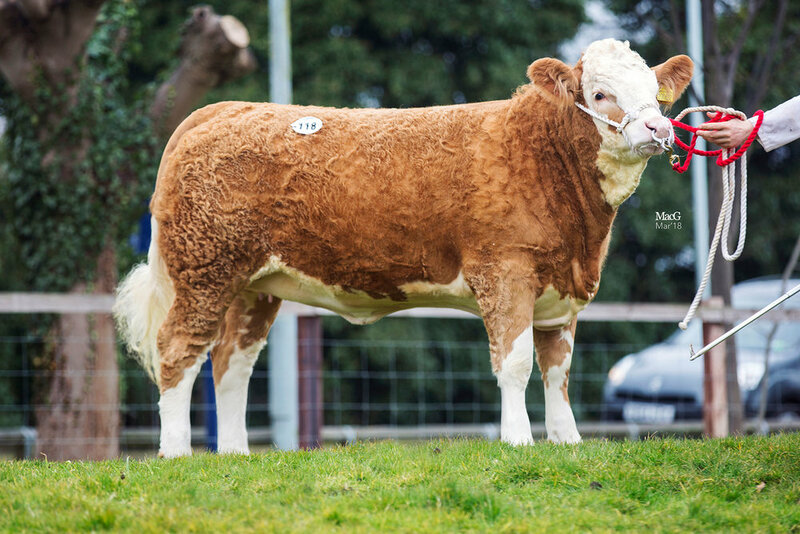 Next, selling at 2800gns was Key Hans Solo 16, bred by M/S G D Key & Sons, Abbey Farm, Mundham, Loddon, Norwich, Norfolk NR14 6EL. A Horsfordmanor Wise Guy son out of a Blakewell Warrior daughter, he was purchased by Messrs Atkins Brothers, The Grange, Barrow-on-Trent, Derby, Derbyshire DE73 7HA. Also selling at 2800gns was Lancelot Hugo 16, bred by Mr & Mrs J Mee, Broadoak Farm, Red Lane, Brinsley, Nottinghamshire NG16 5BW. A Rathlee Ben son out of a Starline Klassik daughter, he was sold to E A Scholefield, College Farm, College Farm, Kennythorpe, Malton YO17 9LA. Selling at 2600gns the second top price female on the day and Reserve Female Champion was Midhope Glamorous, bred by Mr W J Hollingsworth, Midhope Hall Farm, Midhopestones, Sheffield S36 4GW. A Woodhall Everhart 13 daughter out of a Dirnanean Snowie daughter, she was purchased by C R Fovargue Bros, Bottom Farm, Farm Town, Coleorton, Coalville, Leicester LE67 8FG.